2XU’s leading compression cycle range has been extended with these outstanding Compression Cycle Tights. While continuing to deliver muscle support and reduced muscle fatigue properties equal to the 2XU Compression Cycle Short, this piece also features 2XU’s highly durable 105D/CK fabric to enhance performance like never before. 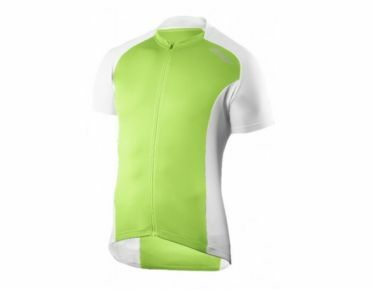 The 2XU Active Cycle Jersey white/green is engineered from smooth HIGH FIL COOL fabric with 25+ UV protection and supreme moisture management properties. HIGH FIL MESH side panels offer extra breathability for absolute comfort on the bike while three rear storage pockets provide easy access to essentials.